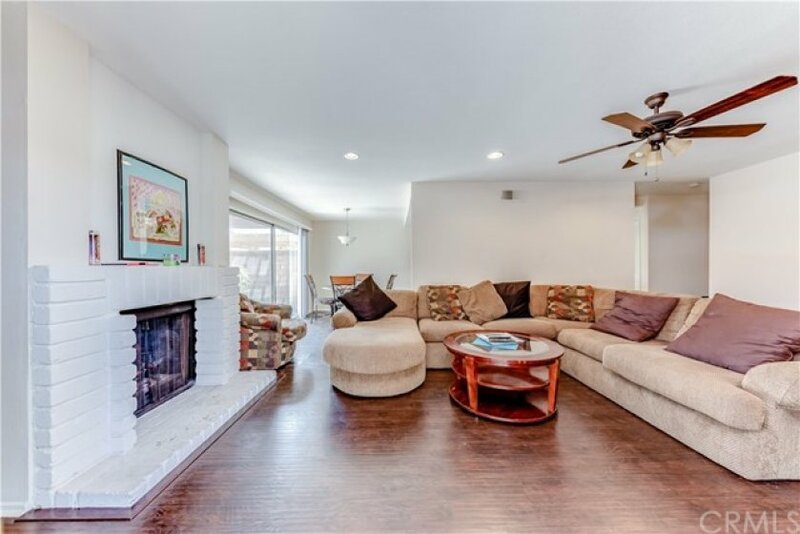 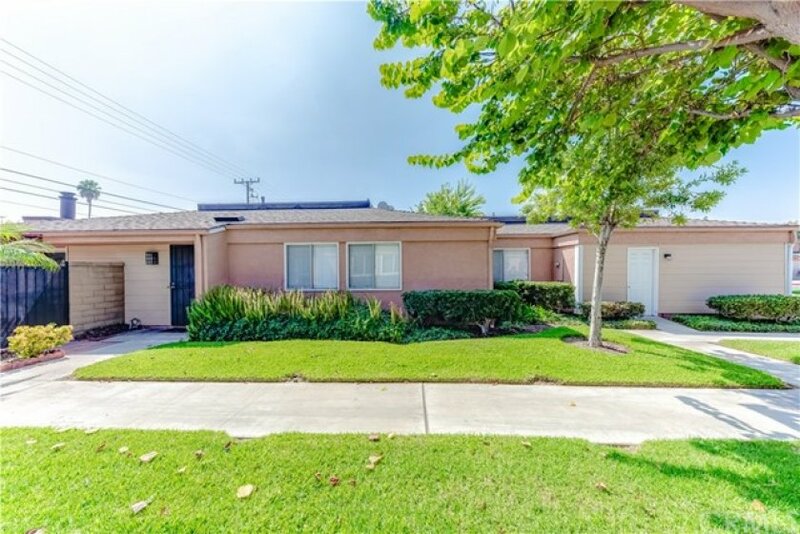 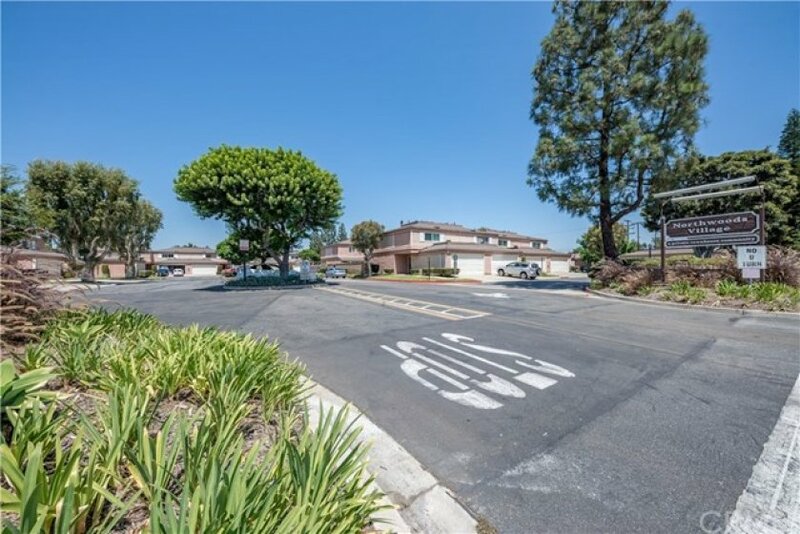 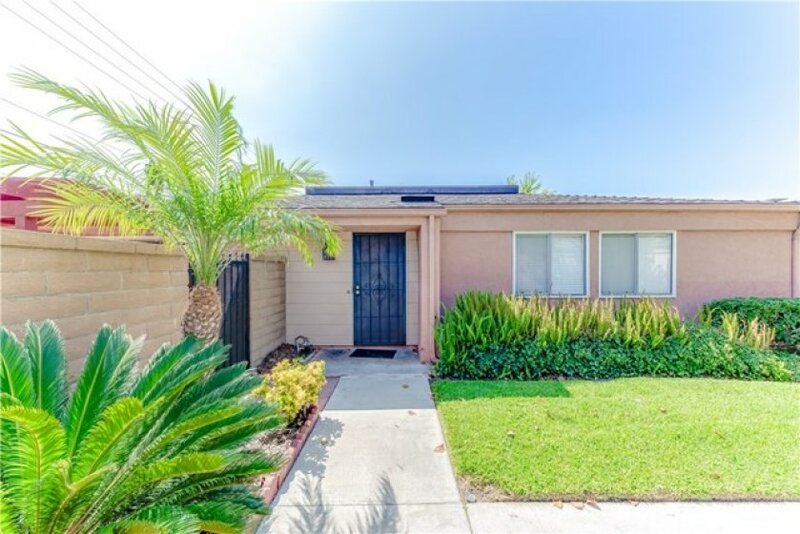 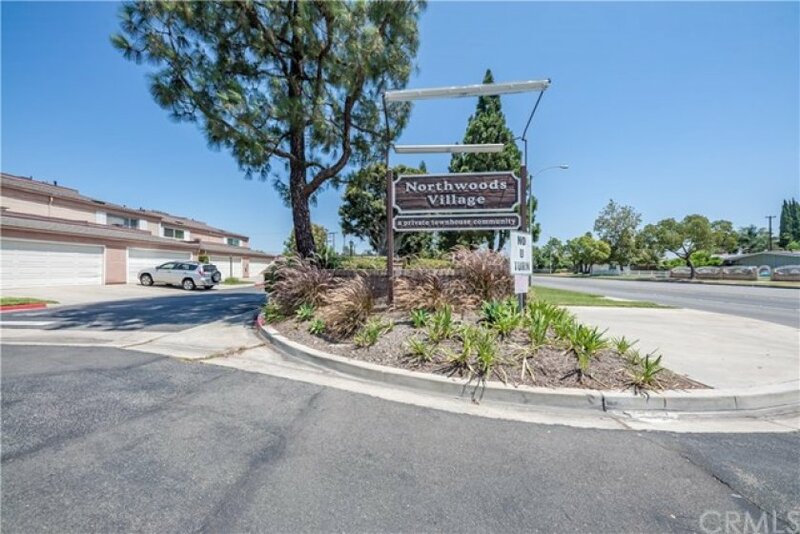 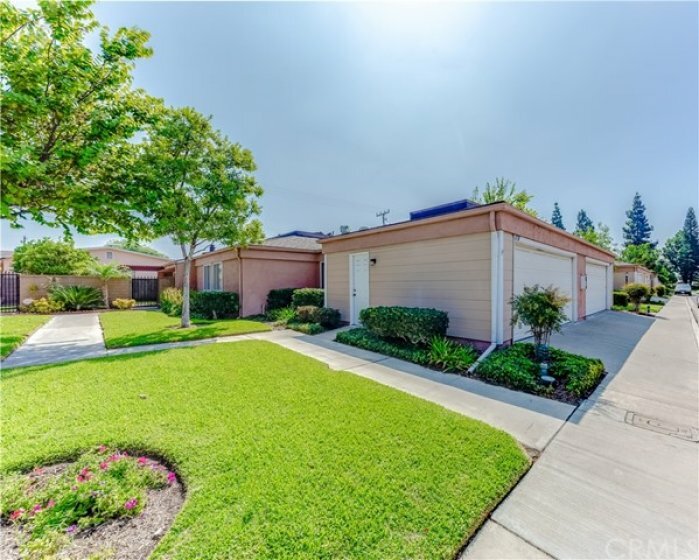 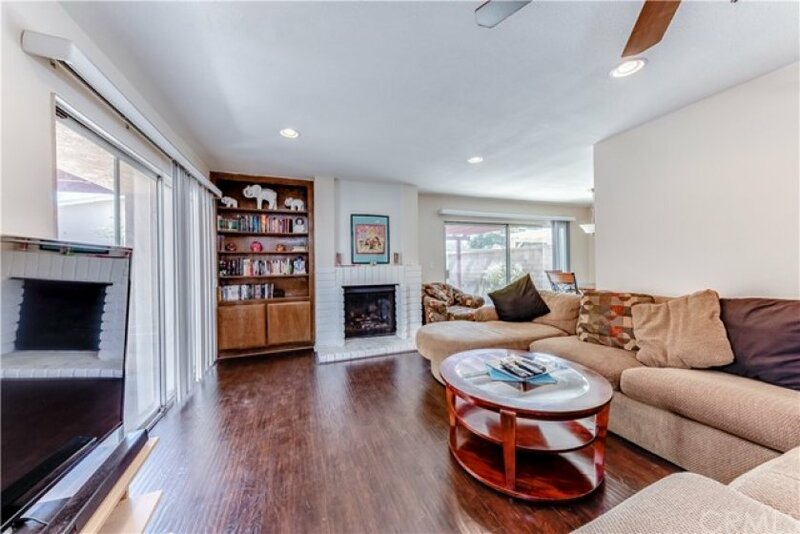 Spacious single story condo with large enclosed backyard in Northwoods Village community located near Disneyland. 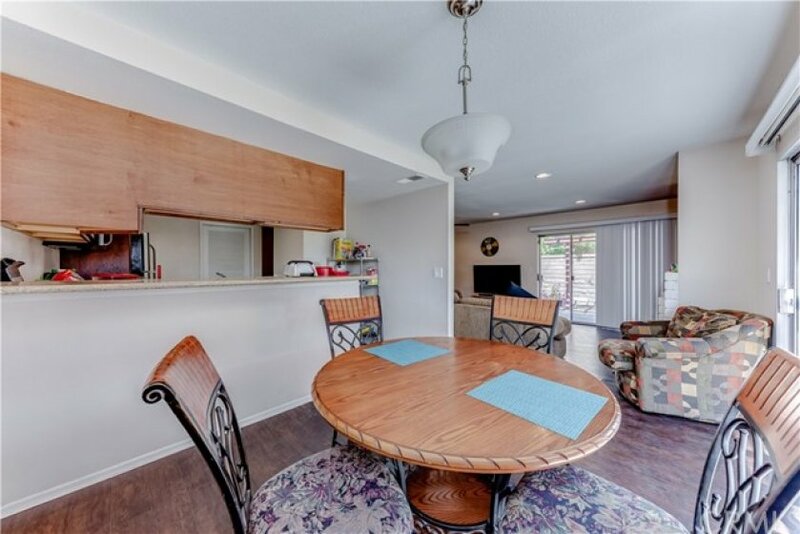 This three bedroom, two bathroom condo with central A/C is built with privacy and intimacy in mind. 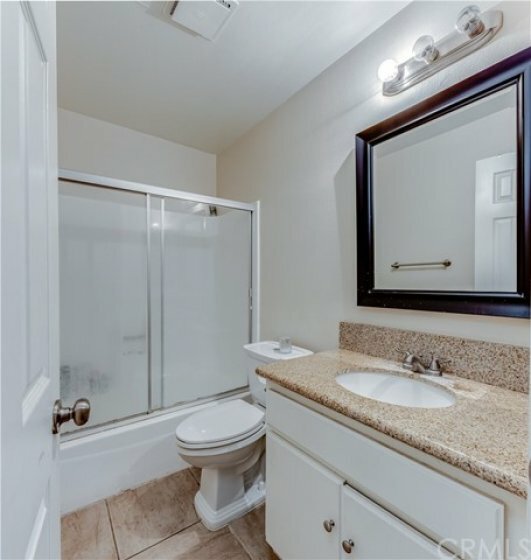 Beautiful hardwood floors throughout and ceramic tiles in bathrooms. 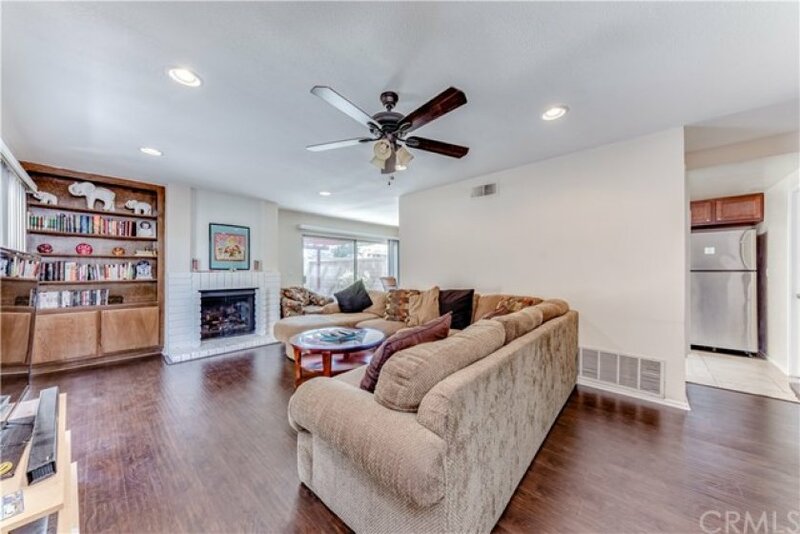 Large living room with gas fireplace, has two sliding glass doors for access to backyard, and recessed lighting. 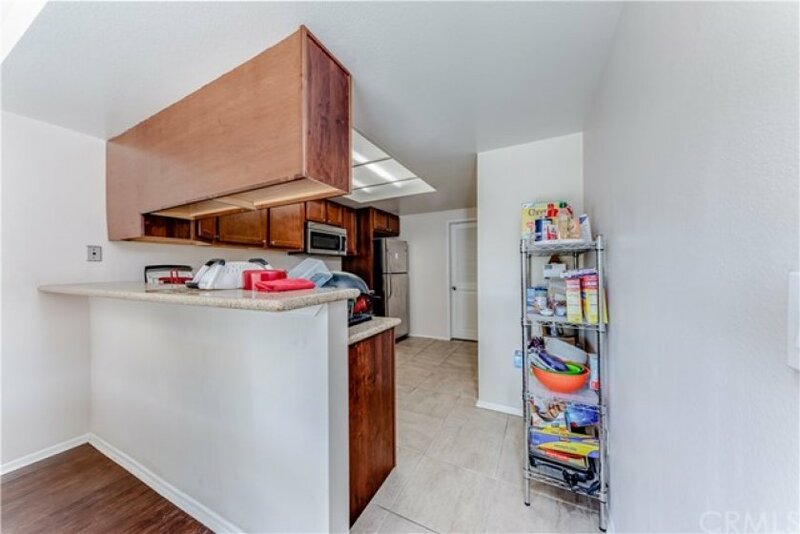 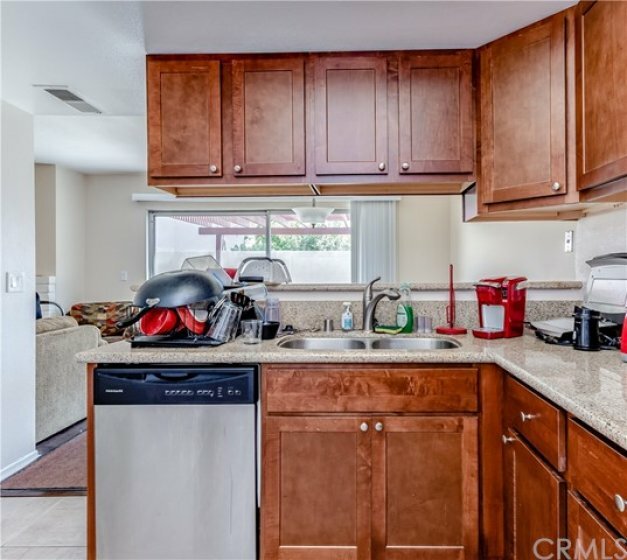 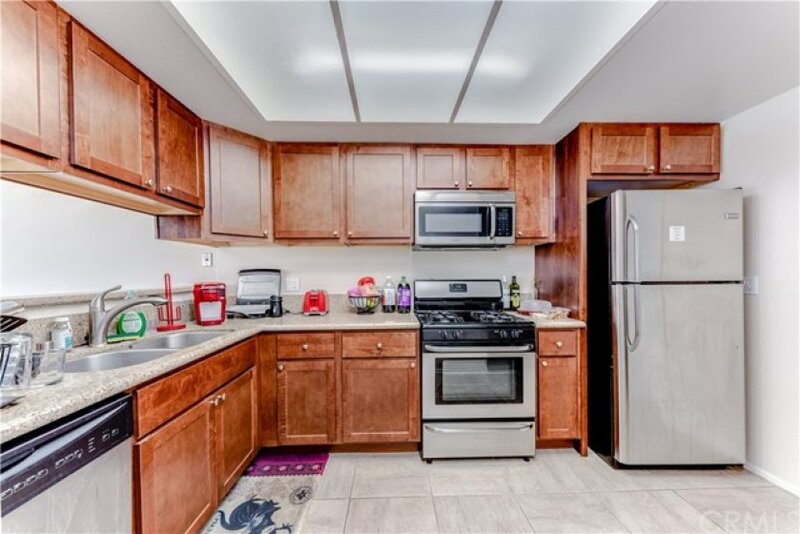 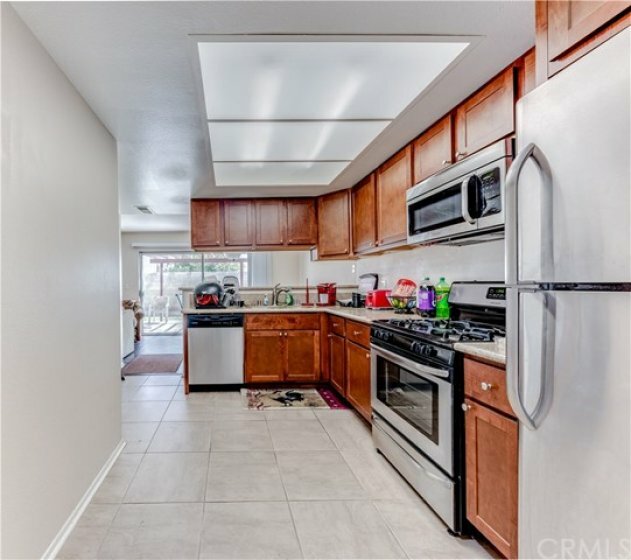 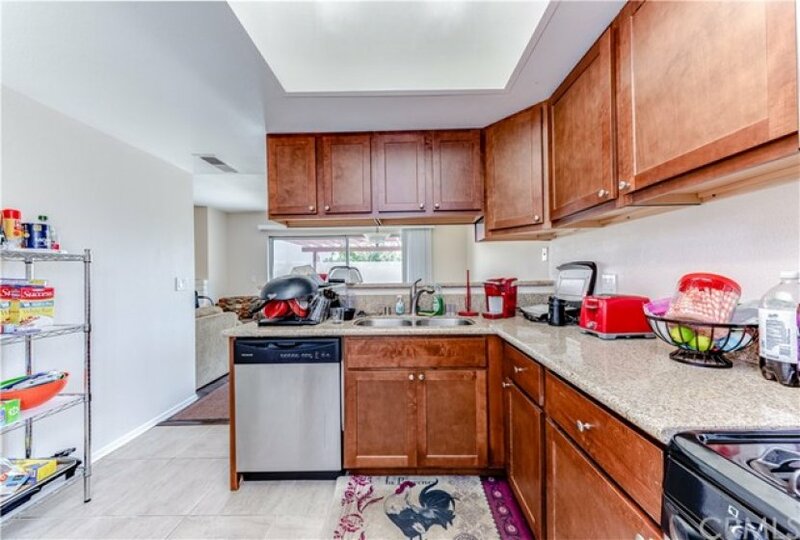 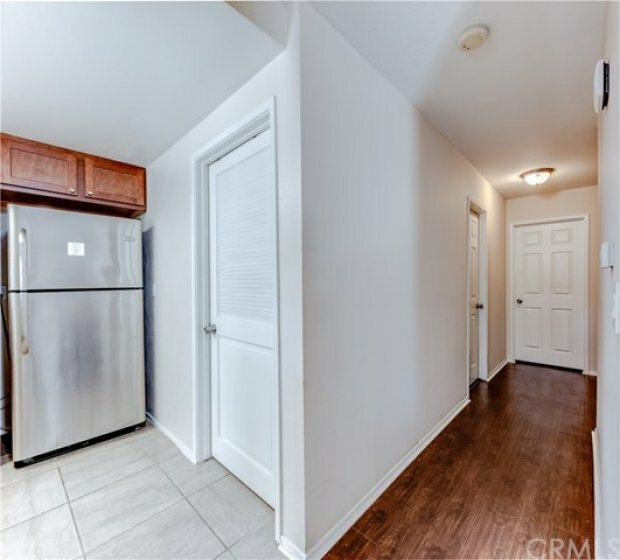 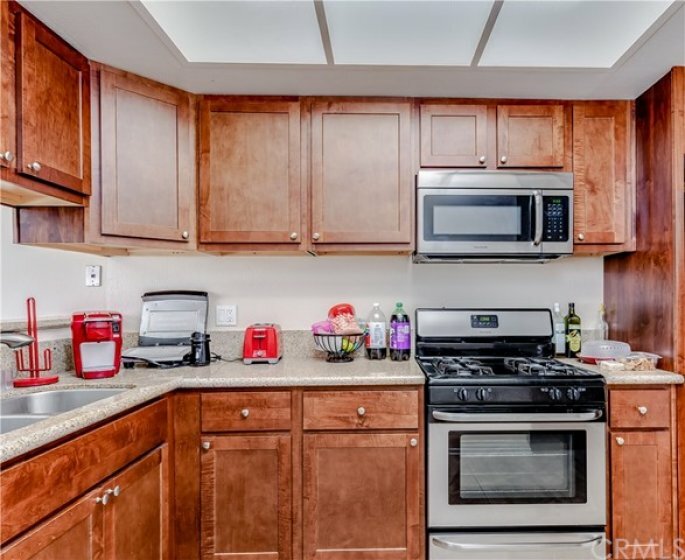 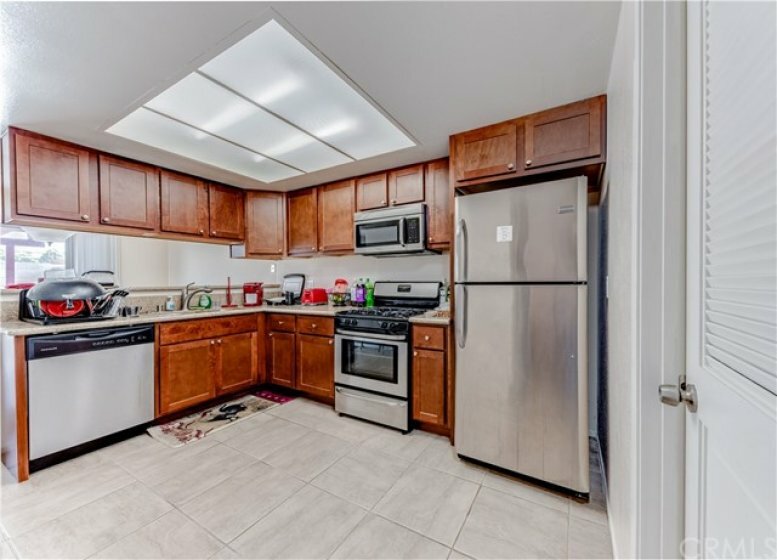 Upgraded kitchen has granite counter tops, beautiful cabinets, lots of counter-space for food prep and opens up into dining room. 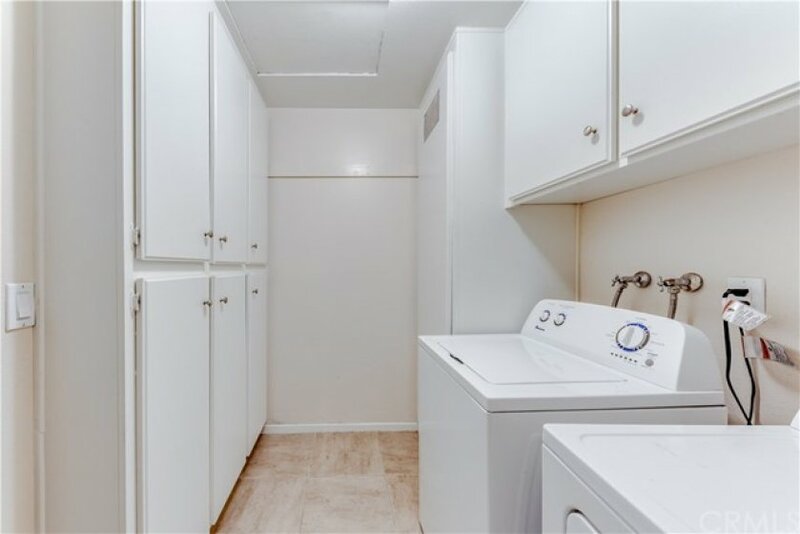 Separate laundry room has plenty of storage space and electric dryer and washer hookup. 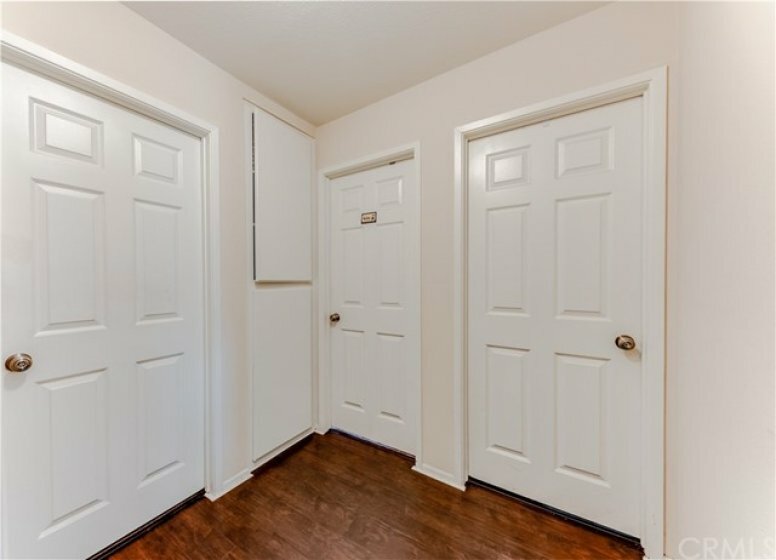 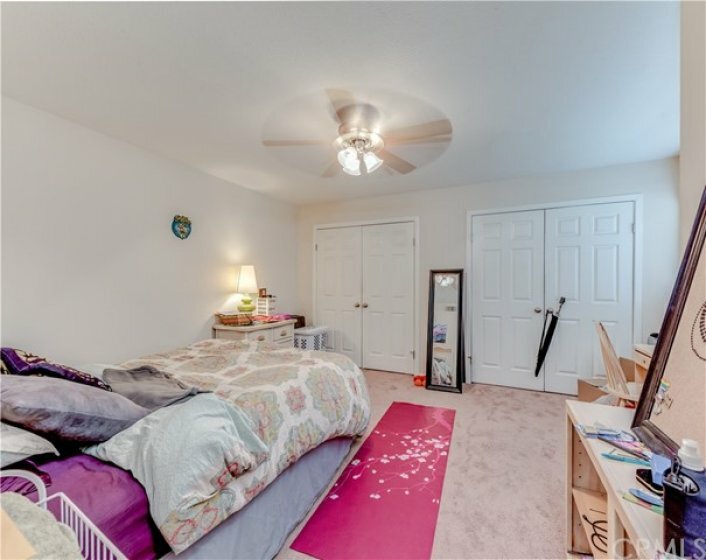 Two identical bedrooms have large closets, windows and ceiling fans. 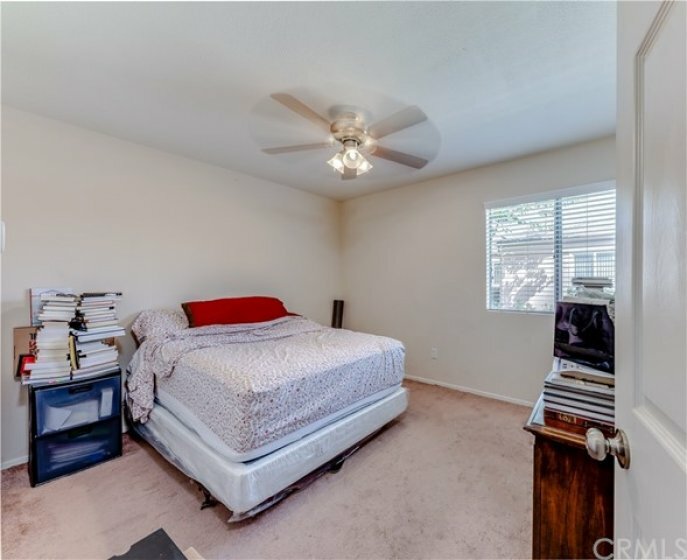 Master bedroom has two large closets, large ceiling fan, and niche which can fit a large computer desk for home office use or intimate seating area. 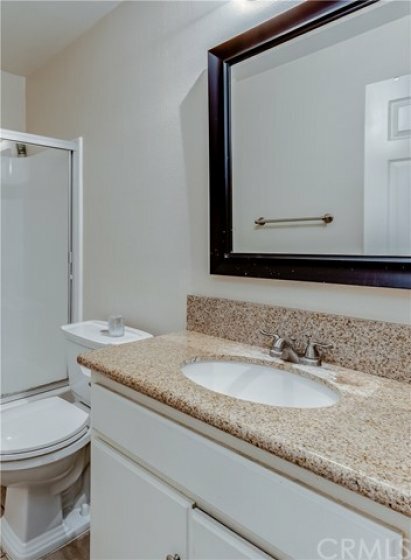 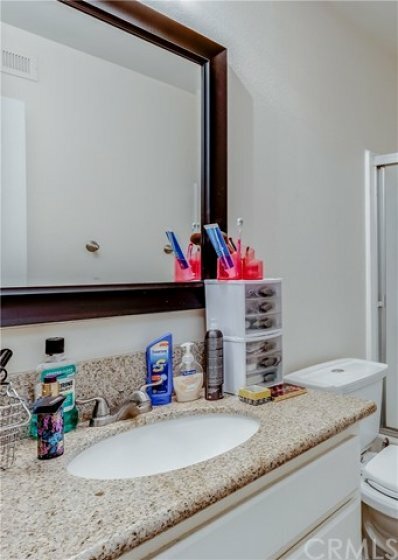 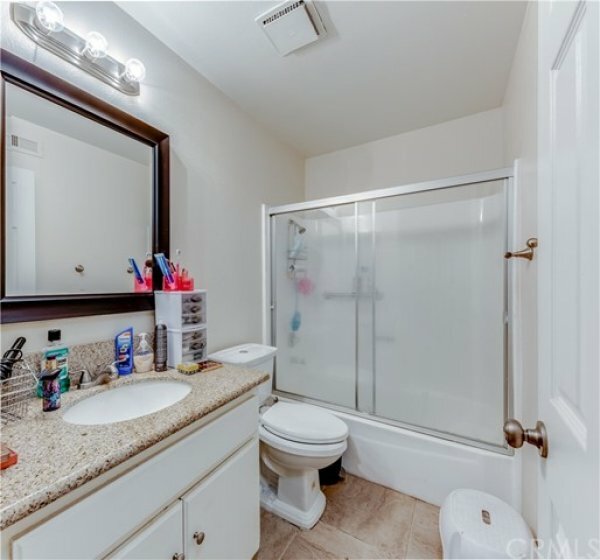 Both bathrooms have shower in tub and granite counter tops. 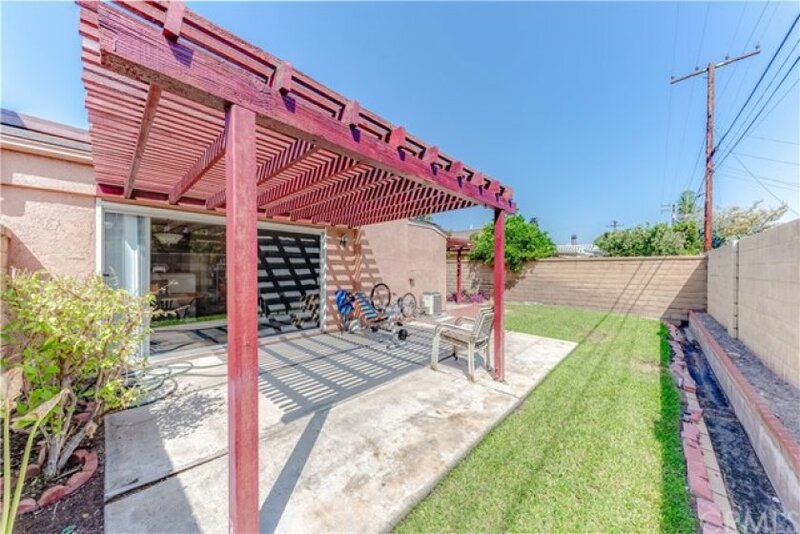 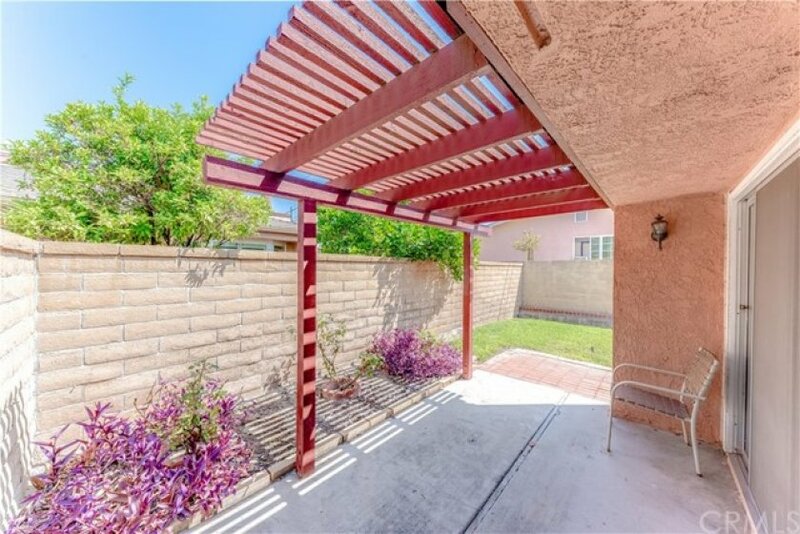 The large, private, enclosed backyard has trellised patio, brick walkway, large lawn with sprinklers and planter beds. 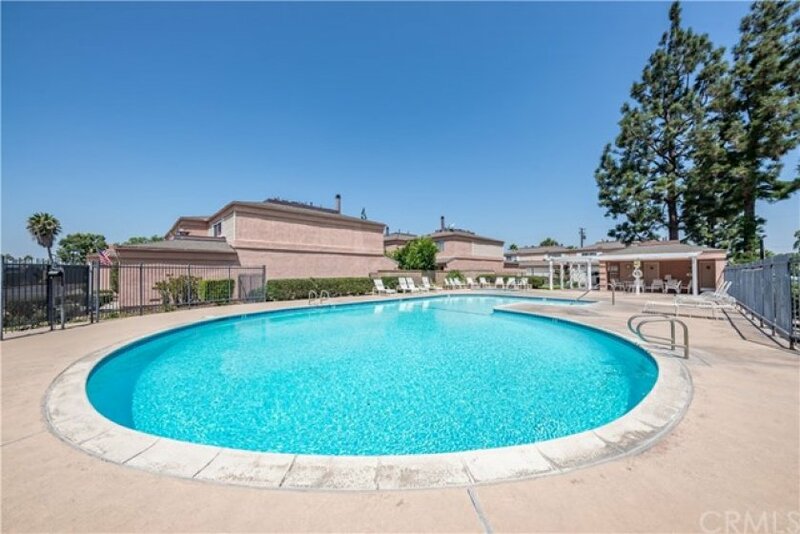 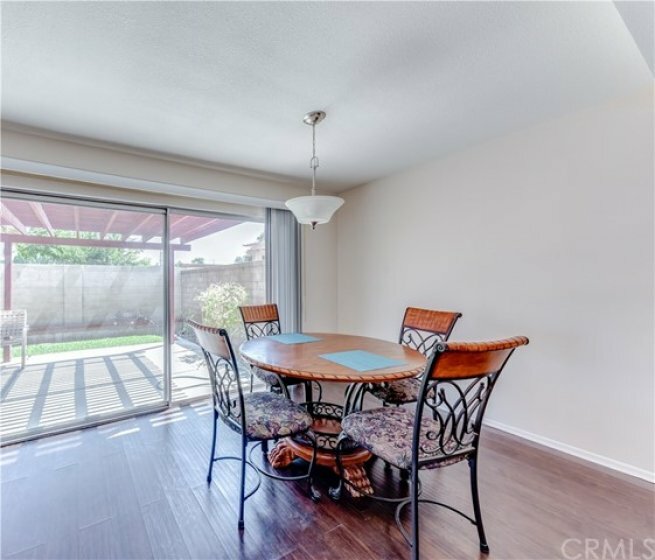 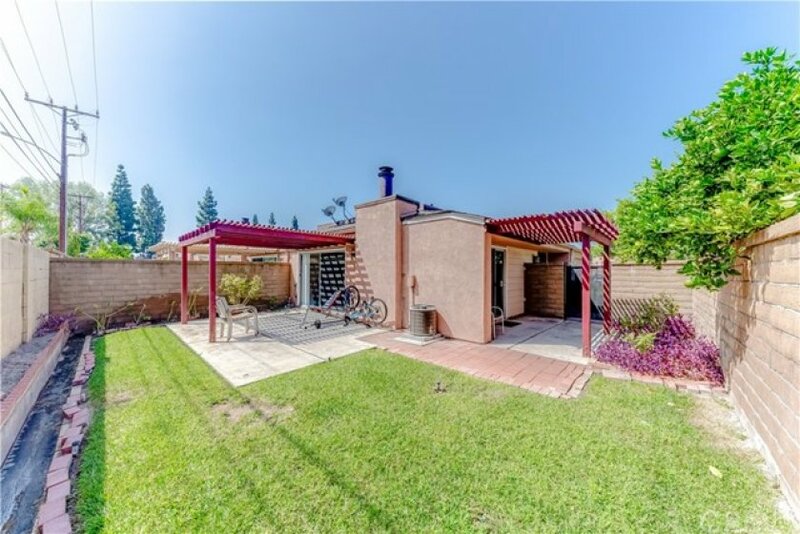 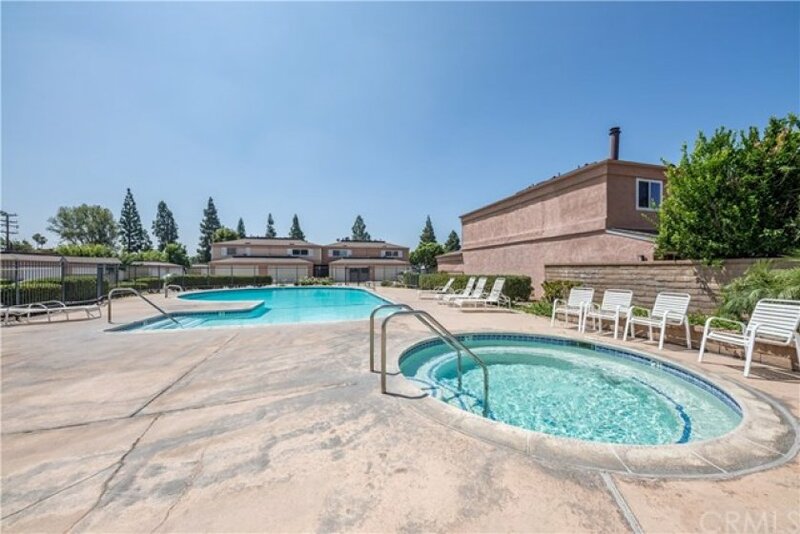 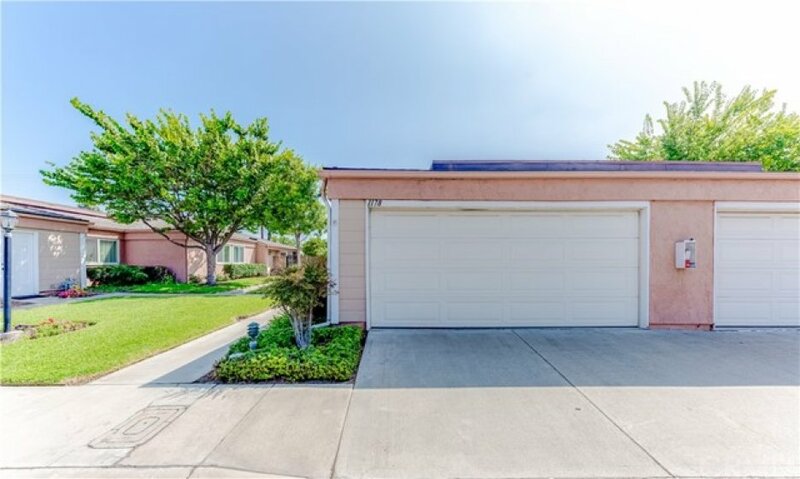 Home has attached two car garage, view of the community pool and is located close to shopping, restaurants and the 5 and 91 freeways.